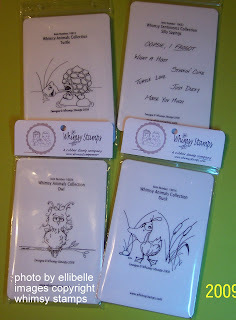 Do you want to win one of the cute whimsy stamps? 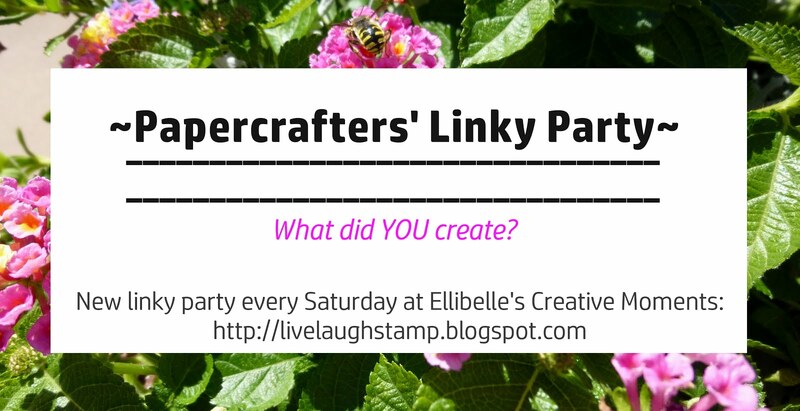 Then you MUST check out the Whimsy Group Flower Power Challenge on the Paper Craft Planet!! 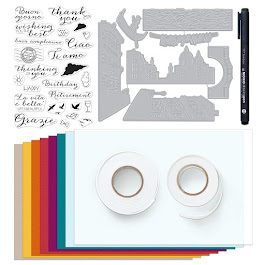 All you have to do is create a card using flowers, stamp flowers add flowers, or use Designer Paper with flowers... for a chance to win. 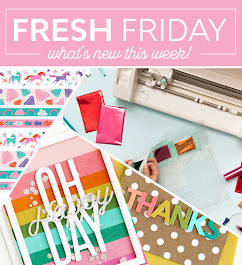 You don't have to use a Whimsy stamp, but if you have one, it would be great if you used it! I was lucky enough to be chosen as Whimsy's Guest Designer for January, look what the mailman delivered today! Aren't they cute?? Today I chose to use the turtle. 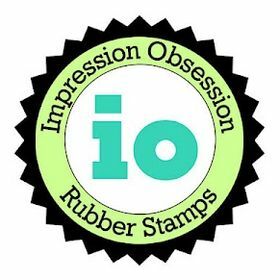 I stamped it on vellum using black stazon and turned it around to have a mirror image. I colored it with my SU markers. The vellum was adhered to a piece of white cardstock with glue dots and matted on basic black. The second turtle was stamped on GP white using tuxedo black ink. I colored it with alcohol markers and cut it out. I added eyelashes to this turtle because I wanted her to be a girl. I added a little silver cord around her neck to mimic a scarf or necklace. This turtle is sitting on a rock that I made using a circle punch, it was adhered with dimensionals. For the card front I used SU's Spring flowers retired designer paper and added a little bit of stickles for some sparkles to it. Also added a strip of retired rose romance cardstock, it matched the little pink flower perfectly. The sentiment was punched out with SU's large oval punch, added a little bit of paper piercing and adhered it to the two black ovals. To finish this card off I added the two hearts (I added polka dots to the hearts but they kind of got lost when I applied stickles to them), brads, a flower on top of lady turtle and some gingham ribbon. Stickles was applied to the flower and the brads. The card front was then adhered to the kiwi kiss card base. 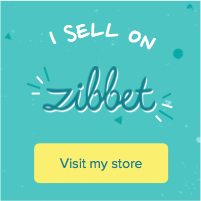 Thanks for coming by today!! very cute! 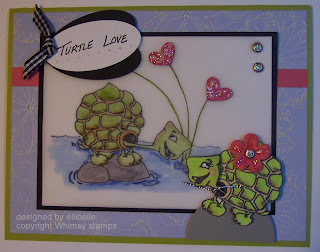 Love the turtle love embellishment....very creative! Supah cute card and love the colors you used...great job!!! Congrats on your being chosen. Cute card. I see you like challenges as much as I do:) I may have to try some of the challenges on PCP. If you're up for something new, check out my weekly challenge on Sundays! Soooo cute! Great coloring job. Isn't Denise just the greatest! congrats on your guest designer spot. Lovin' this little owl! Just commmented on all these in your SCS gallery. great work. This is really cute! I really like the colors.